A dashboard for a healthy lifestyle. Private practice physical therapists are often a patient’s first contact with the health care system. When a patient initiates physical therapy through direct access, they may not have seen another health care provider in previous years. We need to take our role in direct access seriously, taking an extensive history, recording the patient’s vital signs, and discussing their general health, nutrition, and lifestyle as it relates to what we know about healing. Once we have this information, we can make good decisions about any referrals the patient might need (depending on the restrictions to direct access in our state). Although, I like to take this evaluation a step farther: I like to talk with my patients about changes that they can implement in their everyday lives that can positively impact their overall health. Technology and tracking are becoming more common. Many patients already use technology such as Fitbit to track their steps or their sleep. In the era of the “quantified self,” people love data, but what do they do with the data once they collect it? And how do you encourage them to stick with the healthy choices they make? One option is Dan’s Plan, a San Francisco–based company developed in 2009 by Dan Pardi after he went through an academic exercise of creating a behavior model to address health behaviors. He started out slowly, working with individuals, then groups, and then started to build out technology tools to support the audience that was developing. As Dan explains, “Dan’s Plan is not just technology. The technology will change and evolve.” The philosophy behind the technology is simple: Many health issues stem from a lifestyle that does not provide the right type of stimulation for the body to thrive. In other words, there is discordance between our lifestyle and our genes (for instance, as a society, we’re getting 20 percent less sleep than we were 50 years ago). The tools aim to help people live a more natural lifestyle. It aims to help people live as an intelligent eater, enduring mover, and restorative sleeper. The tools leverage validated behavioral techniques that improve an individual’s self-regulatory capability (or the ability to do things you already know are healthy). Many times, people do understand what is healthy, but simply have a hard time adopting a lifestyle that fulfills their understanding or desire to live in a certain manner. Dan’s Plan creates a dashboard for your lifestyle helping you be mindful of things like bedtime and physical activity levels in an ongoing basis. This is powerful because feedback has been repeatedly demonstrated to improve a person’s chances of meeting goals. The feedback helps people live within their “zone of health” so that they maintain a healthy pattern of living on a regular basis. Although many therapists may not be comfortable making specific nutrition or lifestyle recommendations (and it may be outside our scope of practice depending on your state practice act), we can all agree that there is no disorder where the prescription is to practice poor sleep habits. Our therapeutic interventions have the best chance of success when the patient addresses the fundamentals of health including good sleep; eating whole, unprocessed foods; and healthy movement during the day. A physical therapist can recommend that a patient utilize a program such as Dan’s Plan to optimize their therapeutic outcome. The program is free, and the patient can start using it right away. Dan’s Plan integrates data from Fitbit and Withings devices. Dan recently gave a presentation at the Ancestral Health Symposium on the campus of University of California, Berkeley, about how these devices can implement powerful behavior modification techniques. By the end of this year, Dan’s Plan will be integrating data from about 30 different devices and apps. Data capture is a key piece of the feedback loop and these new technologies make data capture easier and more accessible. Ann Wendel, PT, ATC, CMTPT, is an Impact editorial board member and owner of Prana Physical Therapy, PLLC in Alexandria, Virginia. She can be reached at bizpt1@gmail.com. 1. 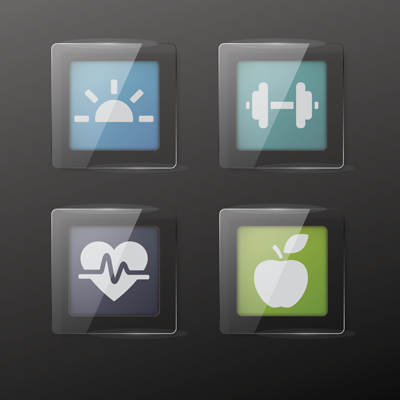 The future of Activity Trackers, Endeavor Partners, Website: www.endevourpartners.net. Posted September 2013. Accessed November 2014. 2. Teresa Wang. “The future of Biosensing.” Rock Health. Website: www.rockhealth.com. Posted June 2014. Accessed November 2014.